The districts of Izmir, a vast region on Turkey’s western coast present a valuable insight into a forward-thinking and trendy destination. Comprising of the city (Turkey’s third largest) and smaller coastal resorts they also offer a variety of lifestyle choices from fast-paced modern living to a quieter and more serene seaside retreat. The huge choice of neighbourhoods and areas within Izmir may overwhelm property buyers, but this guide aims to help by looking at current trends of its real estate market, and why certain areas are emerging as the best place to buy a home. 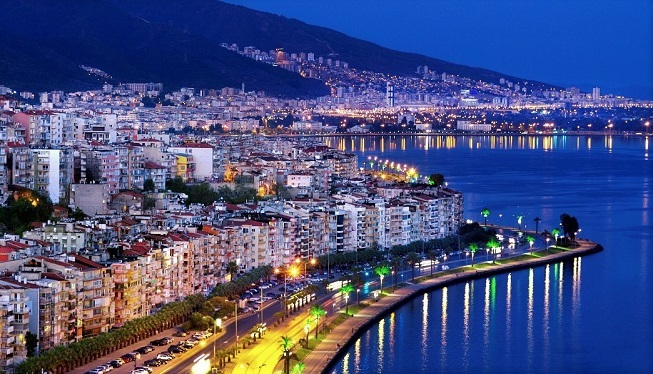 Is Izmir a Good Place to Live? Yes. Shopping, transportation, nightlife, arts, culture, entertainment and eating facilities are top-notch, while 629 kilometres of gorgeous coastline makes it an ideal beach-side destination. For industry, business and those who want to work, it excels in textiles, beer, tobacco, iron, steel, technology, shoes, agricultural, and ceramics. Its export industry, having existed since the Levantine Ottoman era is also the strongest in Turkey. Hot springs have turned into a spa and wellness tourist hotspot, while for decades, its university and adjoining hospital have commanded respect as the best in Turkey. In 2017, 12,031 foreigners registered for a residency permit in the province proving its popularity. In fact its cosmopolitan lifestyle, accommodating all levels of society, makes foreigners feel right at home. Sitting within the city centre boundaries, Bornova separates into 36 smaller neighbourhoods. The fast-expanding area features many off plan and new build homes for sale. Most have on-site leisure facilities, yet Bornova promotes rest and relaxation in style. Forum Bornova, one of Turkey’s largest shopping malls includes 7 cinema screens, and a range of shopping and dining opportunities. 270 children’s parks sit within various neighbourhoods, while the Pinarbasi neighbourhood features motorcycle racing and go-karting. Sports facilities include tennis courts, football fields, and swimming pools, and ice skating and ice hockey at Asik Veysel recreational centre. At weekends, families love to get away to Ciceklikoy which is famous for its village style Turkish breakfasts and known as the green face of Bornova. Otherwise, Homer Valley, a favourite picnic spot attracts hikers who love nature walks. Old Levantine mansions are Bornova’s historical claim to fame, but these don’t reflect its strive forward as an emerging district. After Bornova, Buca is another central district gaining the attention of home buyers. Buyers who want a slower lifestyle in a less populated area should head west from the city to the Cesme Peninsula. Three areas receiving all the attention, are the town with the same name, quaint Alacati and slow-paced Ilica. For decades, the Cesme peninsula was off the grid, but independent travel and a revived real estate market specialising in authentic stone cottages recently boosted its popularity. With 20 stunning beaches, the peninsula offers the typical Turkish seaside lifestyle that easily captures foreigner’s attention. Combined with an unapologetic atmosphere that encourages the pursuit of leisure, buyers in the area include foreigners and retiring Turks from big cities like Istanbul and Ankara. Windsurfing and old Greek cottages are Alacati’s claim to fame. Cesme’s main landmark is the castle, but it’s also the heart of the peninsula and ferry departure point to Chios Greek island while thermal springs in Ilica make it a spa tourism hotspot. Prices per square meter on the Cesme peninsula are higher than other areas of Izmir, but buyers are tapping into a prestigious area of Aegean Turkey. For an even slower lifestyle and an authentic Turkish destination, Seferihisar and Sığacık sitting south-west of Izmir city fit the bill. Seferihisar, an official Cittaslow resort is all about living in harmony with the environment so locally grown produce features heavily in their cuisine and even the solar-powered street lamps adhere to the strict criteria of what it means to be a Cittaslow destination. Nearby Sığacık has gained in popularity in recent years thanks to the Teos marina although compared to other districts like Cesme remains low-key. Akkum beach and the castle, are two famous landmarks, and although it receives many Turkish day trip tourists, stays true to its roots. 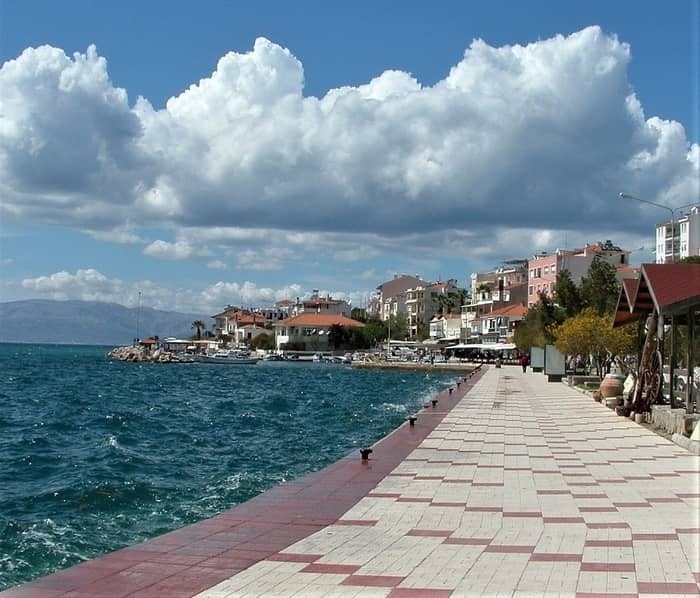 Its seaside fish restaurants, farmers' market and nearby Teos ruins are the three most popular activities. Besides the city centre, Cesme Peninsula and Seferihisar, other districts of Izmir gaining in popularity include Buca, Guzelbahce, Gaziemir, and Urla. Read about them and the region in our Area Guide. Our property pages also list apartments and villas for sale in Izmir. Just fill in the enquiry form if you want to receive additional information, photos and payment plans.